The violation of omerta, the mafia code of silence, generally means quick and fatal retribution, but in the case of Ernest "the Hawk" Rupolo, a low-level mafioso, the punishment was slow mental torture. Rupolo, like many another hoodlum, made it on Vito Genovese's death list. Rupolo's offense was rather daring; he was one of only a few men who had ever testified against Genovese, whose temperament and reputation for ruthlessness generally discouraged such informers. The gang leader had given Rupolo a contract to kill another mobster, Ferdinand Boccia, in 1934. Nailed by the authorities for several other offenses, Rupolo sought leniency by ratting on Genovese, who avoided prosecution by fleeing the country in 1937. Genovese was brought back from Italy in 1945 to stand trial for the Boccia murder, but he beat the rap after the only corroborative witness, Peter LaTempa, conveniently was slipped some poison while he was being held in jail in protective custody. This left Rupolo in a very embarrassing position. 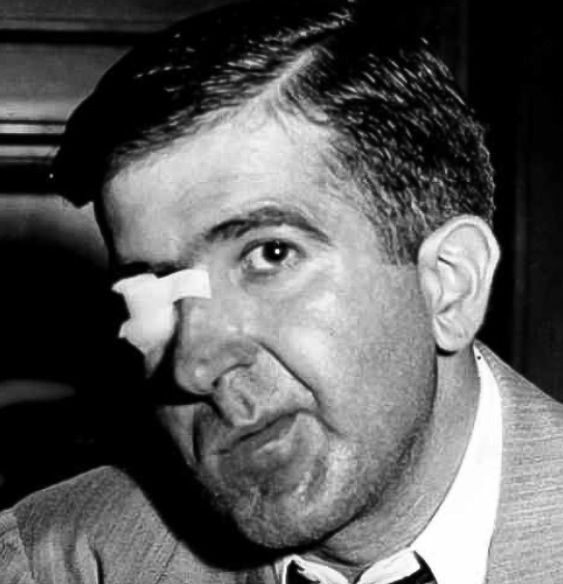 His testimony had proved useless, and he faced Genovese's vengeance. Still the government felt honorbound to free Rupolo, although agents strongly advised him to remain in prison. Knowing well that Genovese's power reached behind bars—LaTempa's demise proved that—Rupolo felt he had no choice but freedom. Remarkably, nothing happened. This did nothing to alleviate Rupolo's fear of murder, and finally he realized that Genovese was taking a full measure of vengeance by making him squirm. Over the years Rupolo lived a terror-filled existence, running in fright whenever he saw a Mafia hoodlum. Was this the one, his hit man? When Genovese was sent to prison in 1959, Rupolo must have experienced the long-forgotten feeling of elation. But he knew and the underworld knew Genovese still enjoyed his suffering. But by 1964 Joe Valachi had talked, and Genovese's bloodlust needed fulfilling. He could not get Valachi, but someone had to die. Rupolo's squirming no longer pacified Genovese. In August, Rupolo disappeared from his usual haunts, and on August 27, his mutilated corpse was fished out of Jamaica Bay. It was pockmarked with dozens of ice pick wounds, and the back of his head had been blasted away. There was no one to testify to Genovese's involvement in the murder.